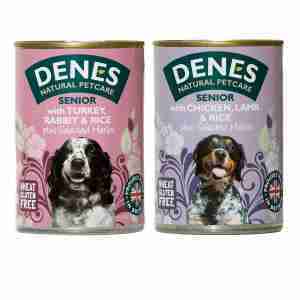 Denes Senior is s complete maintenance recipe for elderly dogs, which is lower in protein, sodium and phosphorus. It may help in the dietary management of liver and kidney disease, as well as heart and pancreatic problems. Useful in some cases of chronic diarrhoea and colitis. Wheat gluten free. Denes also offers wheat gluten free baked biscuits which may be fed as part of a main meal or as treats.